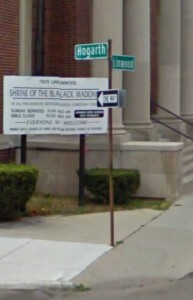 The church still stands on the corner of Linwood and Hogarth in Detroit. 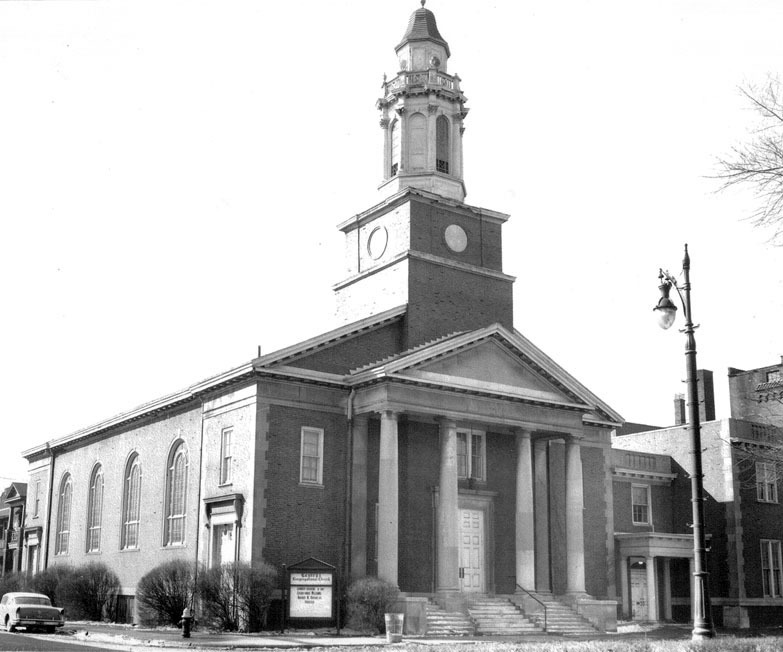 It has gone through several names through the years, beginning as Central Congregational Church in 1953. 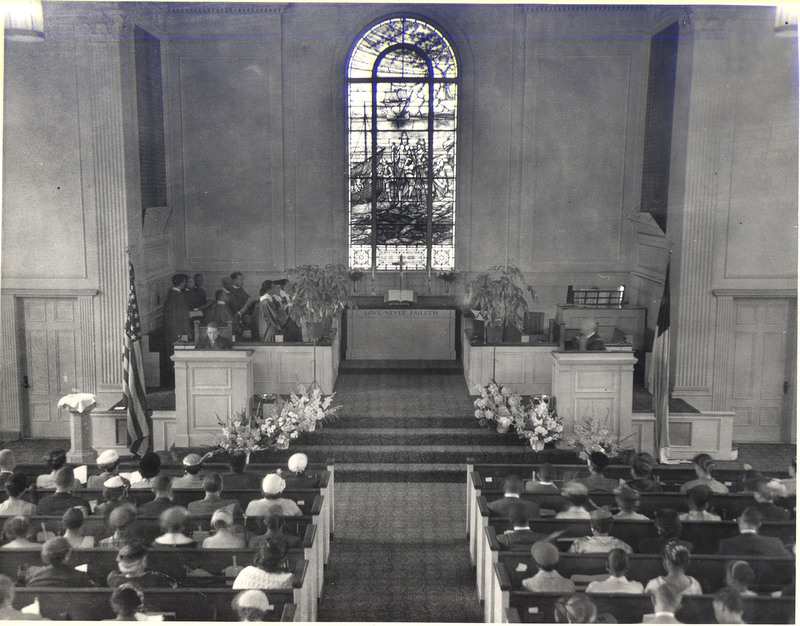 It became Central United Church of Christ after the merger of the Evangelical and Reformed Church and the Congregational Churches in 1957. In 1967, after a large mural of the Black Madonna was painted for the Sanctuary, it became the Shrine of the Black Madonna. 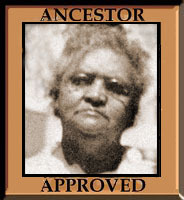 My father was the minister. 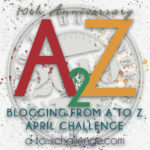 I am going to write about my memories from the 1960s as I was growing up. The Shrine of the Black Madonna on Linwood at Hogarth. Detroit, Michigan. I remember many hours spent at church. There were church suppers and political meetings. There were Christmas Eve services, Christmas caroling and my father’s annual “Little Patricia” Christmas sermon. He gave these for several years. They featured a little girl living in a cave with her family following a nuclear war. I think the last time he gave this sermon she had two heads. I remember a bazaar with booths of handmade items to buy as gifts and game booths with a shooting gallery. The year I remember best was 1962, during the Cuban Missile Crisis of late October. A nuclear war seemed all too possible. I was 16. 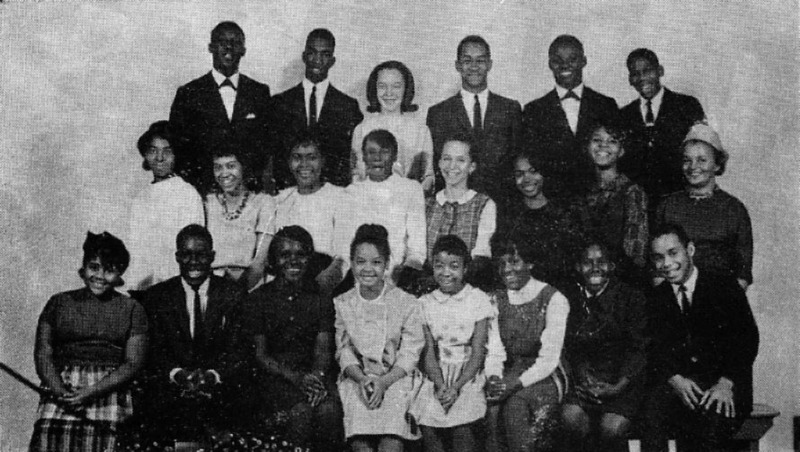 The Youth Fellowship early 1960s. That is me 4th from the right in the middle row. My sister Pearl is in the middle of the back row. I remember Youth Fellowship meetings, where we talked about what was happening in the city, and around the country. Afterwards there was a social hour. Standing next to the coke machine and not being asked to dance, while at the same time, dreading being asked to dance, is not one of my happier memories. Social hour became less stressful once a ping pong table was added for those of us who didn’t dance much. I remember Workdays for Christ where we spent the day doing yard work to raise money for international service projects. And the “Friendship Circle” where we held hands and sang camp song like “Tell Me Why The Stars Do Shine” and “A Friend on Your Left and a Friend on Your Right”. The Sunday crowd was not usually this big. 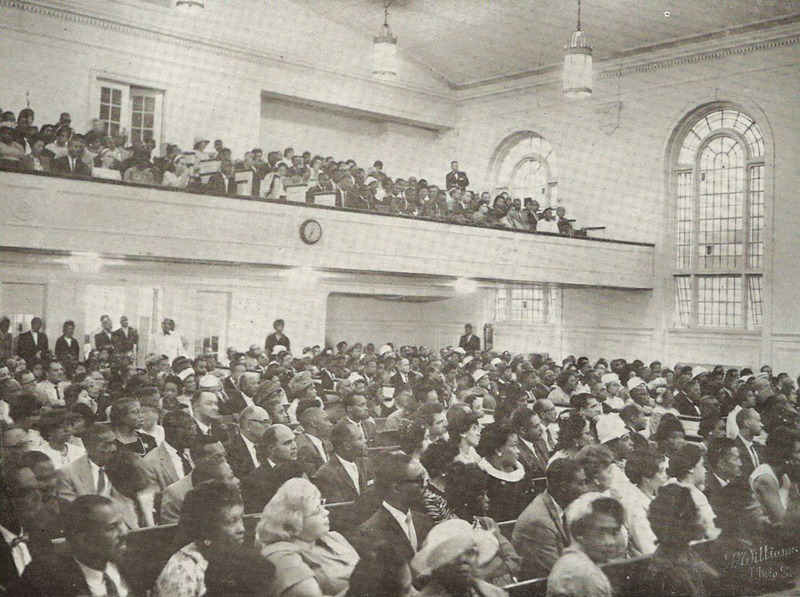 I don’t know what the occasion was but my sister and I are in the balcony, left side, front row, sitting with the Youth Fellowship. here must have been something special going on. 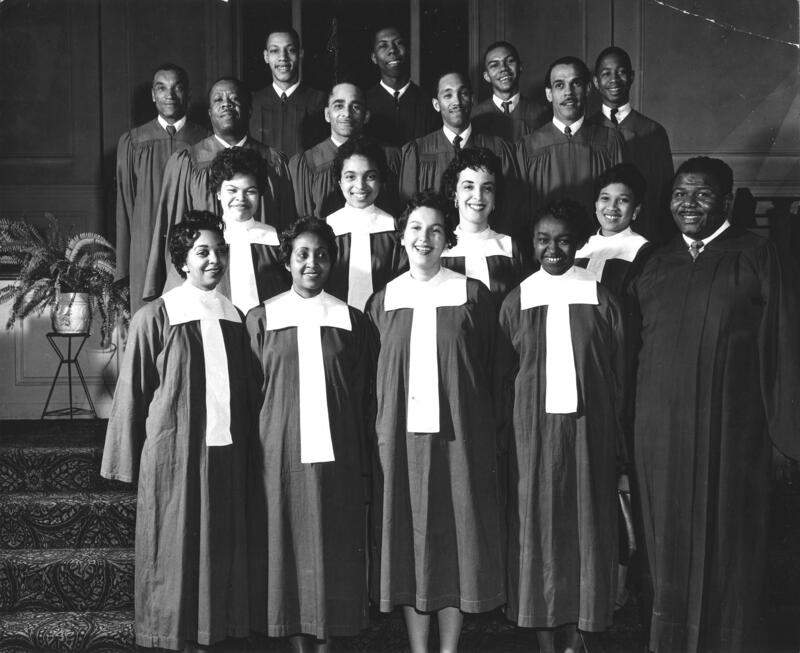 I remember the choir director, Oscar Hand (far right above) singing and the time he held the door open for someone stealing a typewriter because he thought it was the repair man. There was a wonderful production of “South Pacific” one year. There was the tragic and shocking murder/suicide of two married choir members. They had been having a clandestine affair. Mostly though I remember the good singing Sunday after Sunday. A church dinner. My cousin Dale is third up on the left side of the table with his eyes closed. Cousin Ernie, Uncles Winslow and Henry at the end. On the other side is Aunt Anna and I can barely see little Cousin Maria. 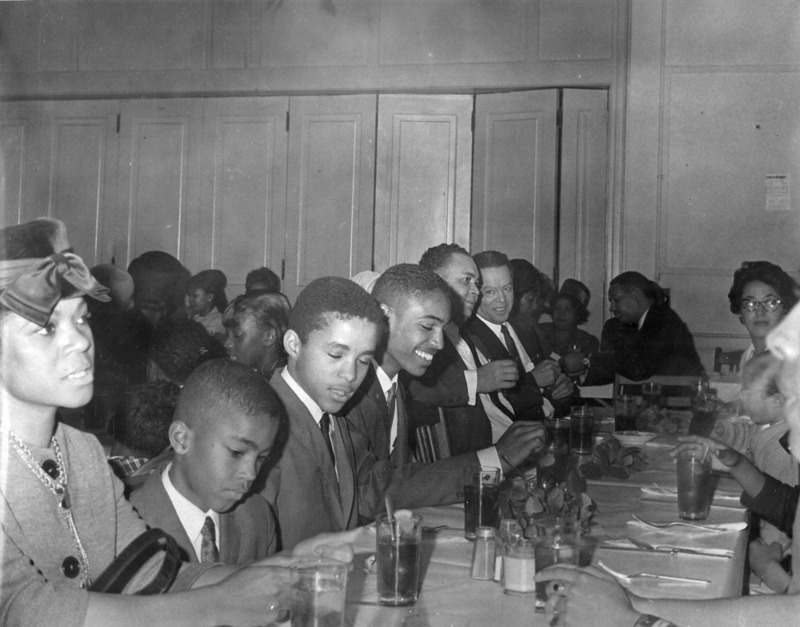 There were lots of church dinners. All members were organized into Area Groups that raised money and sponsored events for socializing. Sometimes Area Groups sold dinners to take out. I remember one such sale. Nobody was coming in to buy the dinners until one of the women suggested burning onion skins. They laughed about it, but someone burned some onion skins and people actually started to come. 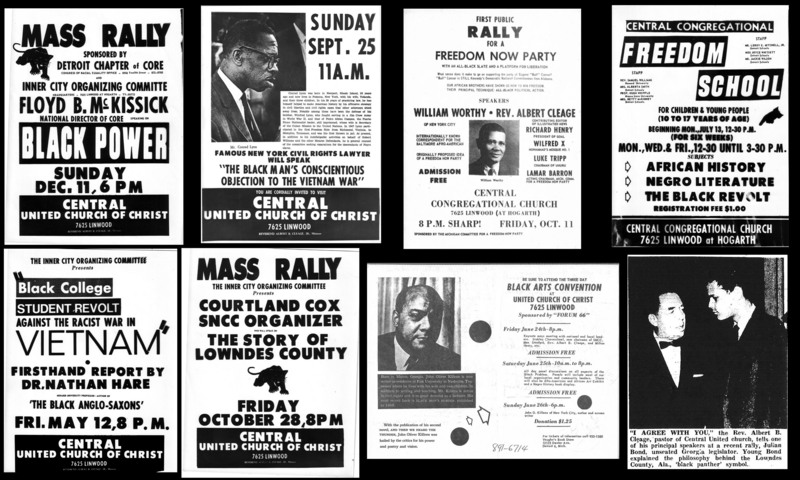 The Church was fully involved in the movement for equal rights and black power. 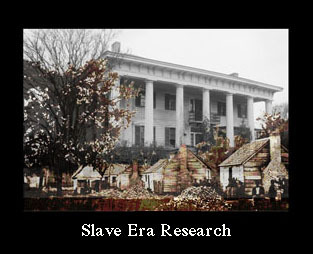 There were always speakers and rallies and seminars. The sanctuary before the Black Madonna painting was installed. My parents divorced when I was 8. We lived with my mother but often spend the weekends with my father. He would start writing his sermons Saturday night. He wrote at the kitchen table. There were piles of old mail, old sermon notes and who knows what, piled up at one end of the table. There was enough space for the three of us to eat and for him to write. He wrote late into the night, sometimes taking breaks to come in and comment about what we were watching on TV or to order some shrimp from Jags up on 12th street. He never finished the sermon on Saturday. Sunday morning he would get up early and continue writing until the last minute when we would get in the car and drive down Linwood to church. Sometimes there were slow drivers in our way or people had already parked in his usual spot so he had to park farther away. At that time, he always parked on Lamothe, which was what Hogarth was called on the other side of Linwood. Service started at 11. Sunday morning excitement – would we make it!? We always did. My father preaching. The Black Madonna mural painted by Glanton Dowdell is behind him. 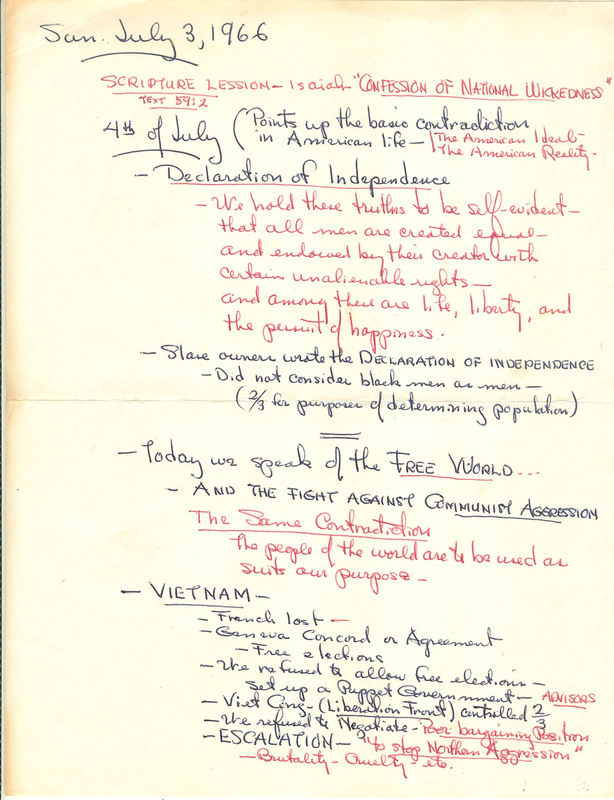 The bulletin and sermon notes below are from Sunday, July 3, 1966. His sermons always spoke to what people needed to understand about their lives in the present day. And they were always timely. Someone once asked me if he planned and wrote them maybe weeks or months ahead of time. He didn’t. And you could tell because of the current issues he always included. 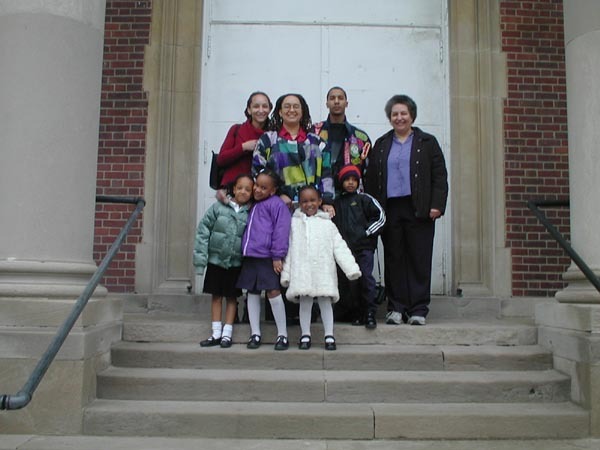 Me with three of my children and four of my grandchildren on the steps of the church, 2005. Those little children are now just about as tall as I am. How quickly time passes. Another wonderful post, reminded me of the many hours I spent in church during my youth. Thanks so much for these photos that reflect my experience in South Jersey. I’d always heard of The Shrine…. I’m glad you enjoyed it and found a connection with your own experiences. The photos are fabulous.! I am posting the link to your blog in our church announcement email blast to give many young people who don’t know a glimpse into the past. 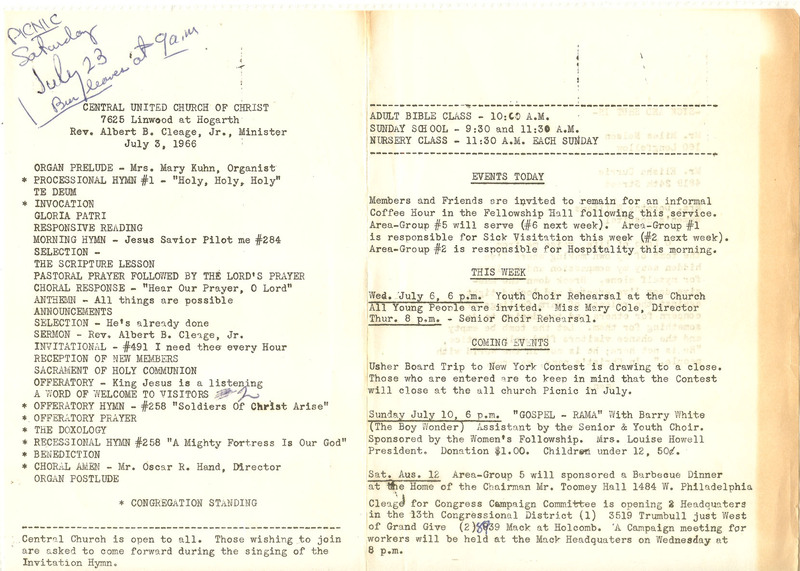 I find it fascinating that one page in the church bulletin still looks very much like the bulletin of 1966…wow. Thanks for posting. I think that page is pretty standard throughout the years. Don’t remember if I’ve posted any older ones. It is big. It includes all that building in the header photograph. Sometimes I don’t quite know what to say -your post shows the influence of the church for good with its congregation but also in the wider world. Sounds like your father planned but also liked that final adrenaline rush for his sermon. I know what you mean about not being asked to dance -never a happy experience. My involvement with church and church groups was intense yet nothing like yours. Fascinating as always. My father was usually late in everything. I don’t know if it was the adrenaline rush or, more likely, he just ran on his own clock. I grew up to hate being late.